Over the past week I've been doing a lot of buying and selling. Basically I felt like there a few things I wanted to overhaul in my rig. Luckily after selling off a bunch of things and some clever buying it looks like I'll have a whole new pedal setup (thread to follow) and this new amplifier. So basically I've always loved the Fender clean sound, and in an ideal world I'd use a twin, however they weigh a lot and I don't drive so that's not a particularly good combination. So I'd been on the lookout for a smaller alternative. I'd been using a Rivera Chubster for the past few years which had the right amount of headroom and did sound good, but it wasn't quite there. Last week I saw this amp pop up on ebay. The form factor is perfect for me and it's also a little lower wattage than the Rivera which is useful for gigging. looks fantastic and having that onstage will grab peoples eyes (and ears) for sure. be excited to see your pedals too. i've had a bit of an overhaul myself! Congratz man i have the same amp, from the same year too i beieve. Cheers guys, this thing sounds great. 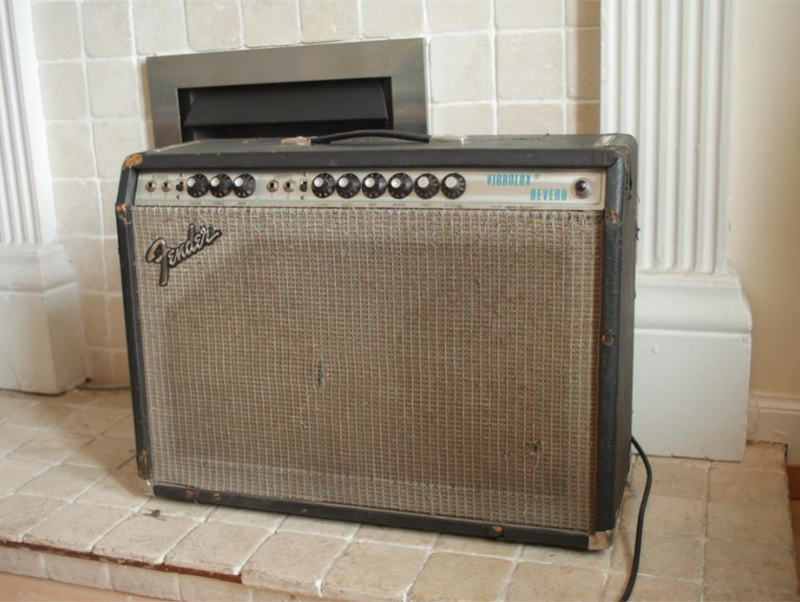 It's got a couple of little issues that are to be expected of a vintage amp, so I'll take it in to my amp tech at some point this summer to get it serviced. I'm really happy with this amp though! That there is my dream amp. Have fun with it! I've got my eye on one of those as well, funnily enough. Lovely purchase. Did you get it for a good price? I have no clue how much these things are worth. I think if you're getting for less than they're trying to sell the new 68 Custom imitations (which I've found to be unacceptably noisy amps), then you've done pretty well. I have a '74. It really is an awesome amp. I can only assume that it will work nicely as a jazz amp, but I know it works well as a "turn it all the way up" amp. I would baby it. My main amp used to be an '84 Fender Concert and it blew up on me twice. I'm a Fender Reissue guy now. Haha! I always wonder where he finds these deals, we're in the same city! To be fair most of the deals I find are from people who buy stuff not knowing what it is or if it works (probably from car boots etc so usually it doesn't). It usually turns out to not power up or has other issues. Luckily I'm quite handy so I tend to be able to fix most stuff. Most times when people look into the cost of having a Synth or whatever serviced/fixed they decide it's not worth the bother for the sake of making ten quid or something. Amp deals tend to be few and far between these days tho.